St Peter at Gowts Primary School is based in the heart of Lincoln who strive to be an inclusive, popular, and vibrant Church of England primary school. 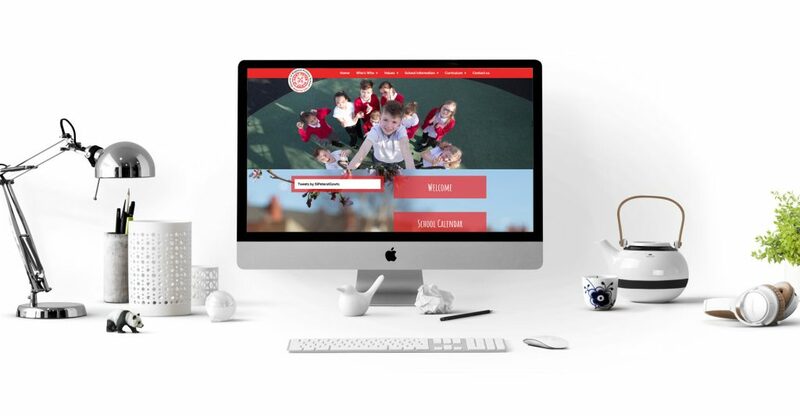 We were asked to create a clean, professional website that reflects the school’s friendly and positive atmosphere. It needed to incorporate the school logo and colours as well as being fully responsive. We were given a fairly loose remit when it came to the overall design and managed to achieve close to the final product on the first draft. We were also commissioned by the school to carry out a photoshoot around the school for the website with the aim of capturing the school spirit to compliment the new website. Jon spent a day at the school around the site with the teachers and students and received fantastic feedback that we’re really proud of. Throughout the whole process of building our new website, Chris was very knowledgeable and helpful. He went out of his way to ensure the site was exactly what we wanted and listened to all of my questions and requests. He made changes that we requested but also voiced when he thought things would look and work better in a different way and we always took this advice. When our site first went live, the positive feedback we received was overwhelming! This is all thanks to Chris and his hard work. He trained me well on how to use the site and is always on hand to help and support when needed- which is more often than not! I would highly recommend Fifteen IT for their excellent customer service and the hard work they put into the professional website they create for us.